Super Girl... she's so cute! I used a pattern from the new Make It From Your Heart Vol. 4. 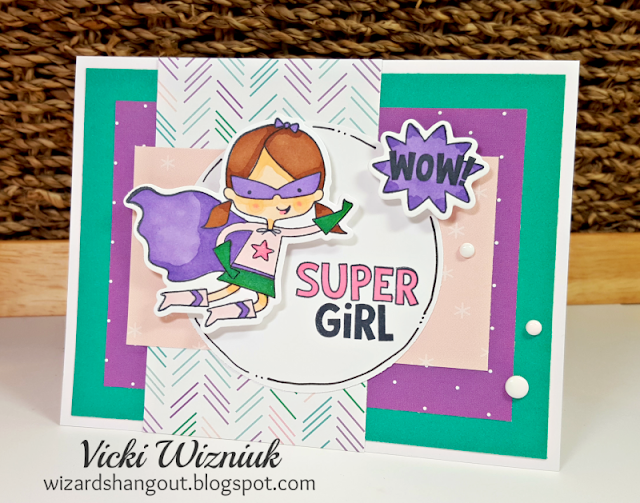 The adorable images are from the new Super Girl Stamp & Thin Cuts dies. And the papers are from the Make Waves paper packet. She was a lot of fun to colour with my ShinHan markers. I love checking out your blog because your work is so amazing!